Shopping Venues - Shopping Information – It feels incomplete if you do vacation in Bali, but you don’t bring anything from there, considering in Bali there are so many shopping center which are always crow, visited by tourists. For you who are having vacation in Bali, besides preparing budget for the accommodation (staying at hotel), you have to prepare another budget for shopping or buying souvenirs from Bali. It is not necessary to prepare much budget for shopping because in Bali there are many shopping centers which provide things at low-cost. Some of those do keenly visited by tourists. Besides, many shopping centers which sell art works from Bali are also crowd. 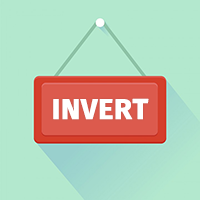 There are some competitions on different places; here what you have to do is cleverness to drive a bargain. Otherwise it’s better for you to buy things in shopping places which offer fixed costs. Next, we’re going to lay some cheap shopping places in Bali. Sukawatiis the biggest art market in Bali. It is situated in Sukawati village, Gianyar regency, Bali. It could be taken less than 45 minutesfrom NgurahRai airport.In this market you could meet various kinds of clothing and Bali’s specific artistic things. Here you are free to drive a bargain and choose; and you have to be clever in the transaction as the seller usually pricing bit expensive cost, yet you could get the cheaper one. Krisna Bali is the biggest and the most complete souvenirs center in Bali. It opens for full 24 hours. It is located at Tuban Main Street, Kuta. From NgurahRai airport it could be taken less thgan 5 minutes. Things which are sold at Krisna Bali are Balinese’s specific foods, such as, milk pie, dry leg-bone, chips, dry cakes, jackfruit, dry ‘dodol, any many others. This shop is also provides special Balinese coffee, KintamaniCofee, Mangsi Coffee and Spirit Bali Coffee. Besides foods, Krisna Bali also sells various kinds of clothing. The offered prices started from Rp. 15.000,- You can afford a cloth as souvenir. Joger’s Wordsare popular enough in Bali it has become the icon here. Jogeris situated at the mainroad of Kuta and Bedugul. If you are in vacation in Bali, at this time, make a time to visit Joger’s Words factory and buy some cloths there. This factory sell T-shirt, containing funny and unique words, it is guaranted that you will like them.Joger is always filled by visitors who want to buy those funny and interesting contained in the T-Shirts. Same as Krisna Bali, Kampung Nusantara also provide Balinese’s specific foods as knick-knack. Kampung Nusantara is situated near Kuta;it’s Sunset Road, Kuta. 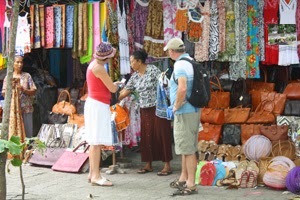 Here you can buy snacks or Balinese’s specific crafting goods.The price are standard, it is not too expensive. For you, art lovers, you can buy paintings at Kampung Nusantara, because here is provided some paintings in one room. You can choose them by heart. Galuh Art Shop is situated atBatubulan Main Street, Gianyar. Here, the popular merchandise for sale is Batik. There are other interesting souvenirs such as T-shirt, small beads, bag, ornaments, and many others more. For the cost, the prices are fixed and can’t be underbid, yet they have been given special discounts for buyers.